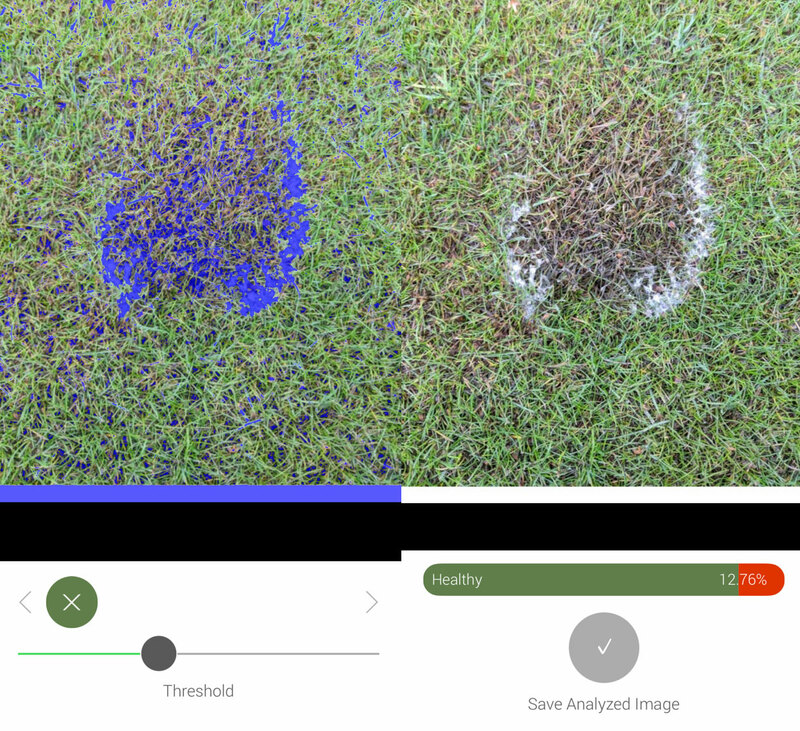 Leaf doctor applicartion for iOS devices estimartes healthy turf coverage. This image was posted on Tiwtter by Deputy Course Manager at Little Aston Golf ClubSutton Coldfield (@CleverleyMark). The Leaf Doctor applicartion allows the user to select areas that represent healthy green color and then computes the percentatge of pixels that are not within the range of healthy grass. In this example, approximately, 13% of the area is diseased and 87% is healthy.